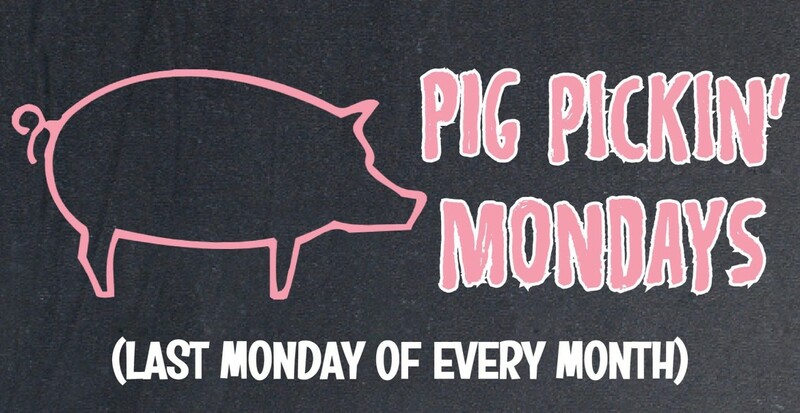 Buz and Ned’s is introducing its Pig Pickin’ Mondays (the last Monday of every month)! Starting on MEMORIAL DAY – Monday May 29, 2017 – and followed by the last Monday of each month thereafter – join us for a traditional, down-home, country PIG PICKIN’ starting at 6 p.m. until 8 p.m. (or earlier if we run out of pig) only at our 8205 West Broad St. store. 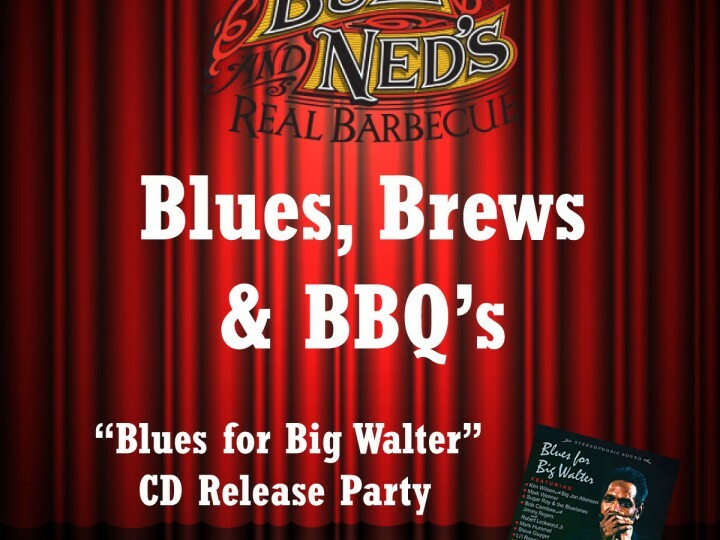 It’s a first-come, first-serve, ALL-YOU-CAN-EAT* meal featuring an amazing 100% wood barbecued WHOLE PIG cooked slowly using only freshly-cut hickory log, served with our Buz and Ned’s barbecue sauce on the side. The buffet will also include: hush puppies, freshly shredded cole slaw, sandwich rolls, our three bean baked beans made with natural artisanal smoke cured pork, our sour cream red skinned potato salad and freshly-brewed iced tea. THIS IS TRUE HEAD-TO-TAIL EATING! *REMEMBER THAT IT’S ALL-YOU-CAN-EAT UNTIL WE RUN OUT OF PIG, SO BE SURE TO ARRIVE EARLY! We will try to not over sell, but in the event that happens we can refund your money, apply it to another meal or we can substitute our hand-chopped pork from our chop line – your choice. 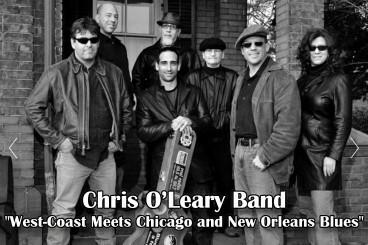 Chris O'Leary band spotted in Richmond!